Divorce usually means a dream has ended. And not only does it mean a marriage has ended, it also ends a number of relationships beyond the two people who are divorcing. Typically, this brings about each of the five stages of grief during the process. Each stage brings with it a unique set of challenges, but the important thing to keep in mind is that the process will inevitably come to an end. Divorce can often involve a grieving process. Denial comes in many forms during divorce. Many people find themselves saying or thinking things like, "When will he comes to his senses?" or "When will she realize she is making a mistake?" They think that maybe the problems separating them aren't really as monumental as they seem. More often, they try to convince themselves of the notion that this just isn't really anything to be sad about. The most common lie told during this stage of divorce is something akin to: "We have just grown in separate ways. We still care about each other and we will always be friends, but this is the best thing for both of us." Denial is normal. It is the primary step many people must pass through when sorting through their grief. As with all stages of grief, everyone passes through this stage in their own time. Anger is a natural response to the pain of divorce. If not recognized, it can also have the most damaging long term consequences. This is the stage at which the parties blow things out of proportion. An angry ex-wife might telephone her ex-husband to scream at him for taking her name off of their joint video store account. He might suddenly remember promises she never lived up to. This is the stage often involves finger-pointing and even screaming. It is also the stage of grief in which children of the marriage are most vulnerable. It is important to understand that the anger is natural and that the triggers are symtoms of the emotion, and not its true source. Grieving people need to make wise decisions about how to deal with their anger during this unavoidable stage of a divorce. It is uncommon for even the worst marriages to end without one or both parties coming to a point where they think maybe they made a mistake. They are tired of being angry and they want to fix what's broken. At this point somebody usually suggests the possibility of reconciliation. They may consider seeing a marriage counselor or apologizing for their wrongdoings in the hope that a mutual apology will save the marriage. Bargaining is natural, but understanding it is key to recognizing whether you are moving through one of the stages of grief, or if the marriage is truly worth saving. Sometime during the bargaining stage, it almost always occurs to each party in a divorce that the whole thing is their fault. She might deride herself for being a nag. He might wallow in the idea that she was right about him being selfish and self absorbed. Both will feel as if they once had it all and are about to lose everything because they screwed it up. This is when depression sets in. Food becomes tasteless. Air becomes stale. Both parties feel like their entire life is now irreparably off of the tracks and they blame themselves instead of each other. Sometimes feelings of depression never go away But more often than not, just as people start bargaining to get past the anger stage, they begin to wake up in the morning determined not to be depressed anymore. It is then that they start asking the question, "What's next?" They come to realize that what happens next is worth exploring. They accept that they were right about what made made them unhappy. They realize it took two people -- not one -- to ruin the love they once enjoyed. They don't like it, but they accept it. They find that they are wiser for having undergone both the experience of the marriage and, ultimately, the divorce. At this point, depending on how well they handled the anger and the bargaining stages of their breakup, they may or may not be friends, but it simply doesn't matter any more. They are removed from it, and as such, they truly are divorced. 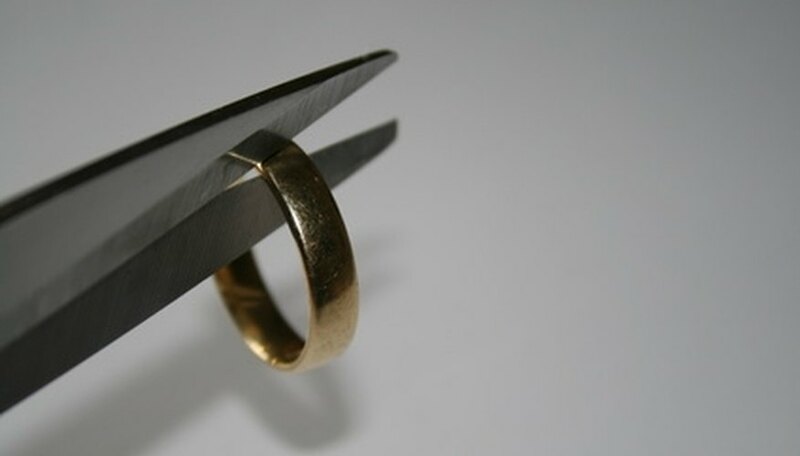 Divorce is almost always a hard blow in the life of those who experience it. Understanding the stages of grief that accompany this rift is valuable in surviving it with your soul intact. There will be better days ahead. Gamble, Arthur. "Emotional Stages of a Breakup or Divorce." Dating Tips - Match.com, https://datingtips.match.com/emotional-stages-breakup-divorce-7915924.html. Accessed 20 April 2019.